Born Pretty Store again sent me some of their products to test and I chose this lipstick, which looks exactly like The Top Shop lipsticks. Without going into this, it has positively surprised me. 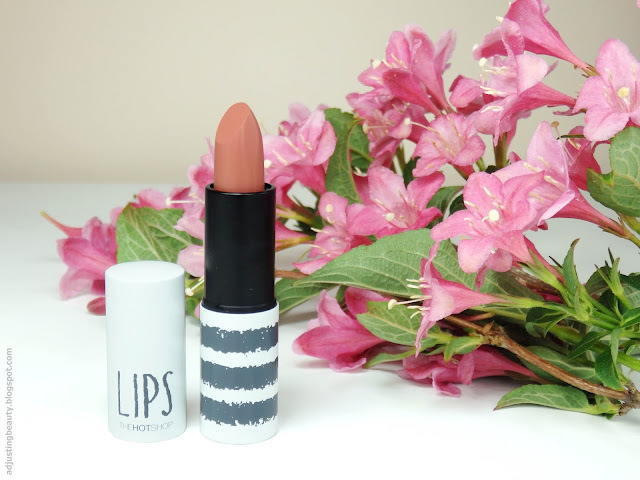 It's definitely my kind of formula and since I chose a pretty neutral shade, this has been on my lips a lot. It's apparently The Hot Shop lipstick and everything about it looks very similar to The Top Shop lipsticks. I love the packaging. It's metal, a bit heavy and well made. It's white with grey writing. It costs 4.29$ and you can buy it here. It doesn't say how much product is in it. I decided to go with a more neutral shade and I chose shade 11. I though it was going to be paler than it actually is. It's peachy brick brown shade. I find it to be a unique shade. It seems peachy, but it has almost pink brick red undertone to it. I think it would look great on many different skin tones. I love that the bullet is straight cut from the sides, but the top is not pointy, it's rather rounded. 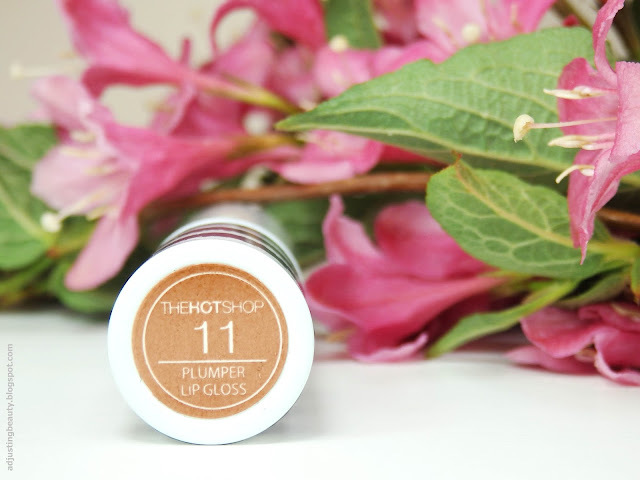 This fits perfectly on the lips and you can create nice edges without much effort. The formula is amazing. Very pigmented, creamy and a joy to wear. This lipstick never made my lips dry. I've been wearing it for 8 hours and nothing. It's so creamy and feels very moisturizing. It also gives you a bit of shine. I find that it sets really well on my lips, after a while. 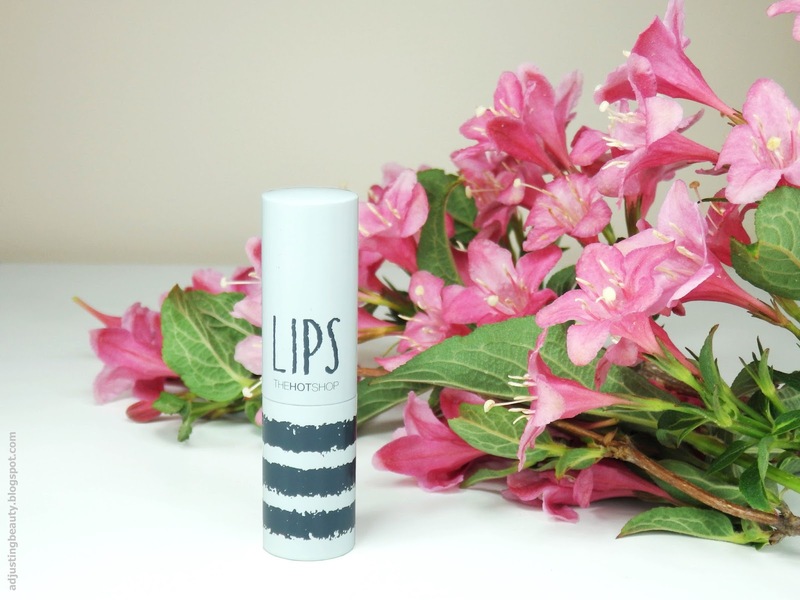 I tend to have dry lips in general, so when the lipstick is on for a long time, I feel like it becomes a bit less shiny and it stays on the lips really well. The shade reminds me a little of MAC Patisserie, since that one is also a very unique mix of shades. Patisserie is sheerer and has more pink in it, while shade 11 has more of that brick undertone. 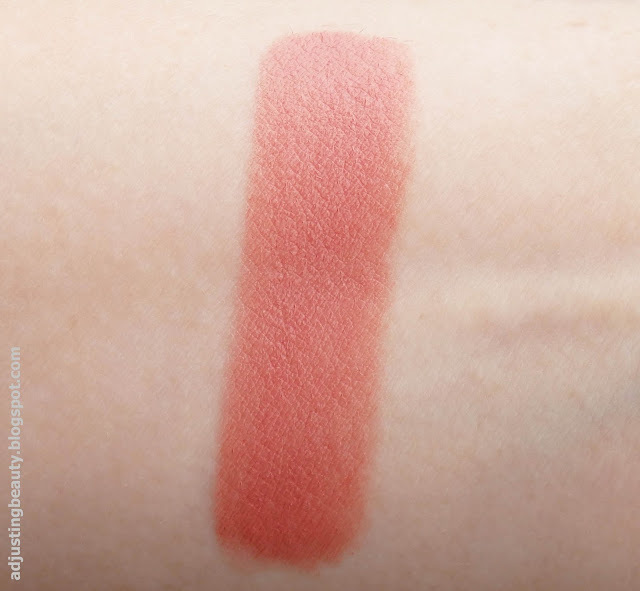 Let's say if you like pinks you would go for Patisserie, but if you want peachier version, you would go for shade 11. 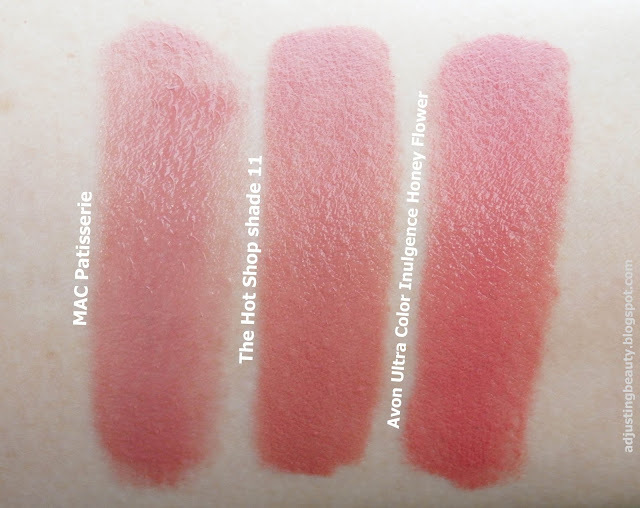 It's even more similar to Avon Ultra Color Indulgence lipstick in Honey Flower. They're both pigmented and have very similar undertones. Honey Flower has just a tiny bit more of red undertone than shade 11. 11 is peachier and more brown. The formula is similar to the Avon, which is my favorite lipstick formula ever. The formula is such a joy for someone like me, who gets dry lips by just wearing lipsticks on daily basis. 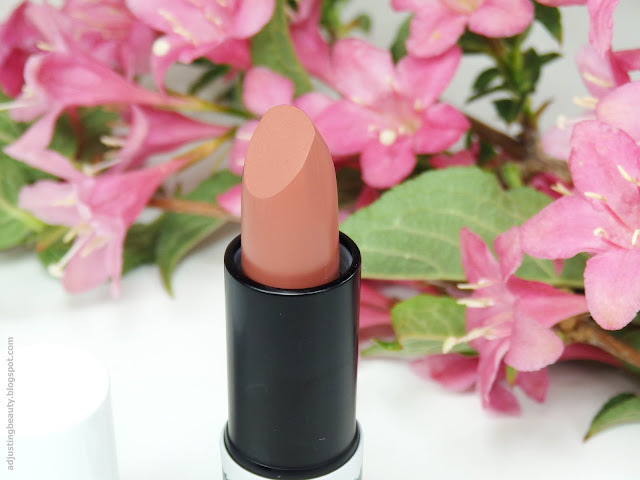 It's very pigmented, creamy and the shade is totally my kind of neutral. You can chose from 15 different shades and I highly recommend you to try one of these, if you like creamy moisturizing lipsticks. The price is a bargain. I might try some other shades as well. You can also use my 10% off code at your next order on Born Pretty Store. Just type in the code PETRAH10. Res je odlična glede na ceno. Tudi sama si ne bi nikoli mislila :).